Just wanted to let people know where the project stands as there hasn't been any front page news since it was first announced. Honestly, the translation is taking far longer than I expected initially, but things are still underway. I'd say the main dialogue text stands at somewhere near 85% complete. That just leaves all the other text (menus/diary entries/etc), which you have seen me working on here in the forum. Recently, I asked Filler to give me a hand with the remaining MISC text, so I hope that it will help speed things along. More to come later as the project moves ahead. Yup, nothing like that good ol' country feelin' of one moving ahead. Danged real life! But we're getting there. Quick update for all you patient forks out there: The translation is moving once again towards completion; though, there is still a bit of work to be done. With GalaxyRobo nearing the end of its beta cycle, I've been going (maybe for the fifth time) over many of the script files that I have. I feel very confident that the game will be worth the wait, and I only wish that it could be available sooner. Nice! This one caught my attention quite a bit, so any news is good news! Hey, haven't been around for ages, but just wanted to say thanks for working on this game, it looks great! Also: is there a forum where you guys accept ideas for potential upcoming SNES projects? Feel free to post ideas in the Group Related Discussion board. Probably the best place for them. I feel like I've said this before, but I'm really happy to report that Filler has been making lots of progress helping out with translations. He's been working like a machine over the past few days. 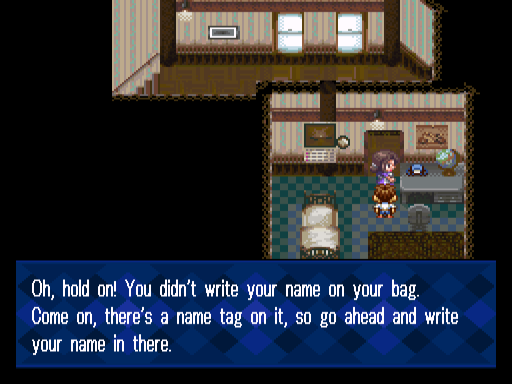 On top of that, Bongo` has inserted a new dialogue font into the game. Have a look and let us know what you think. Remember that fonts are always subject to change, and we really care what you all think about the fonts we use!